You can make an Aperol Spritz by the glass, but you can also make a pitcher of it so you can sit outside without having to keep going back to the kitchen for more. Over ice; pour 3oz prosecco, 2oz Aperol, and 1oz sparkling water. Garnish with orange slice (use it to stir). Use the 3-2-1 ratio with 3 parts prosecco, 2 parts Aperol, and 1 part sparkling water. 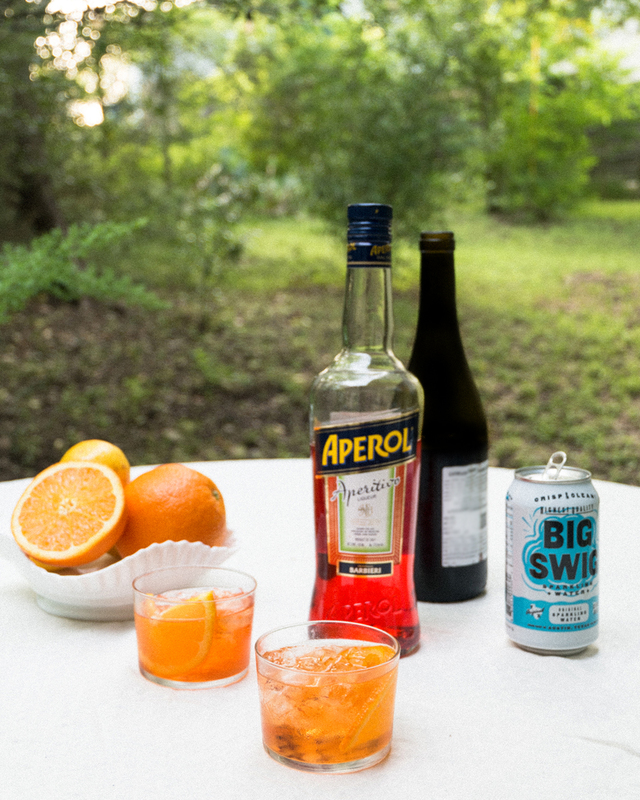 FELIZ Spring 2018 is May 6th 11-6pm, and we'll be serving Aperol Spritzes made with local sparkling water, Big Swig! Swing by the Palm Door on Sabine to see some of our favorite designers, sip on a drink and have a relaxing Sunday.